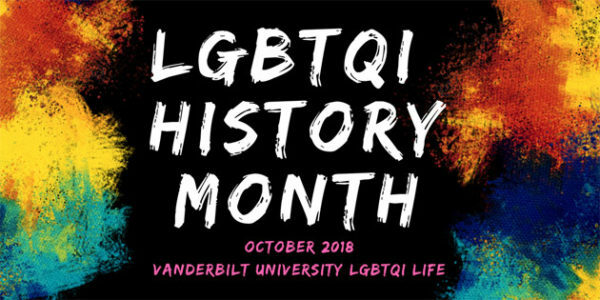 The Office of LGBTQI Life will celebrate LGBTQI History Month throughout October with several programs, trainings and events aimed at educating and engaging students, faculty and staff across Vanderbilt’s campus. 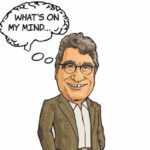 The month kicks off with a Pursuing Respect, Inclusion, Diversity and Equity (P.R.I.D.E.) educational training on Oct. 3 at 1 p.m. in the Sarratt Student Center, Room 189. The P.R.I.D.E. training program intends to create a visible network of support for lesbian, gay, bisexual, transgender, queer and intersex individuals and their allies by providing an avenue through which any member of the Vanderbilt community can engage in ongoing education about gender, sexuality, intersecting identities and the importance of recognizing how oppression and privilege affect marginalized communities. On Oct. 6, LGBTQI Life invites the Vanderbilt community to participate in the 27th Annual Nashville AIDS Walk and 5k Run. This event raises funds to help end the HIV/AIDS epidemic in Middle Tennessee. 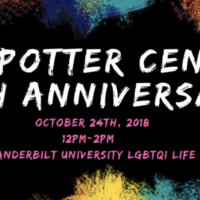 National Coming Out Day will be celebrated on Oct. 11 at Rand Patio from 11 a.m. to 2 p.m. Now in its 30th year, the program provides the Vanderbilt community with the opportunity to celebrate those who have come out and to support those who have not come out or are unable to come out. The month concludes with a celebration marking the 10th anniversary of the K.C. Potter Center, the campus space that houses LGBTQI Life. 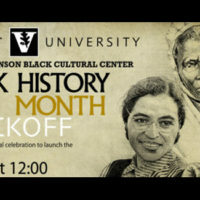 On Oct. 2, from noon to 2 p.m., enjoy food, music and community as Vanderbilt honors the significant impact the center has made on the university over the past decade. 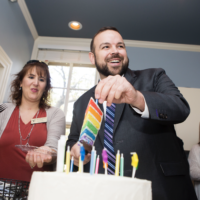 Additional LGBTQI History Month programs and events will take place across campus throughout October. Oct. 11, 11 a.m.-2 p.m.
Oct 12, 3- 4:30 p.m.
To learn more about LGBTQI Life and upcoming programs, visit the center’s website.